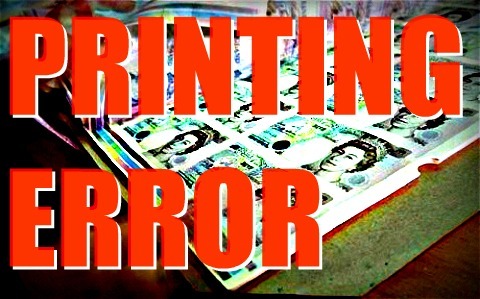 This morning the Bank of England’s Monetary Policy Committee will meet and in all likelihood order another £50 billion of Quantitative Easing, or money printing. This will again be used to buy government bonds, artifically holding down long term interest rates. This deliberate policy is approved by George Osborne and allows the Treasury to finance government over-spending via sales of government gilts to the Bank of England. It robs the old of the value of their savings and the young who will have to finance the future taxation which the government has effectively deferred. This monetary experiment will have totalled some £375 billion, it is unprecedented in scale and there is no clear exit strategy to unwind QE. The Bank of England’s balance sheet is now loaded up with gilts that were not sold in the open market, holding down interest rates and allowing George Osborne to point to the bond market and claim the UK is a safe haven. In reality we have an artificial bubble in the bond markets that could pop disastrously if confidence was lost. If it goes wrong, we will look back on QE as the biggest rate-fixing scandal of all time.